The United Adamawa Group for change has urged President Muhammadu Buhari to remain neutral to all parties in the coming APC Primaries in Adamawa State. Alhaji Musa Dasin, The Adamawa state chairman of the Group made the call in a statement in Yola Saturday. ‎“We call on Buhari to remain neutral to all candidates contesting for the Adamawa APC Gubernatorial Primary election. “By favouring any aspirant in any form, no matter how small is tantamount to cause disaffection within APC in Adamawa State. “Buhari and the APC National Working Committee should give equal treatment to all candidates,” Dasin said. The Group frown at the picture that surfaced online this afternoon, where Modi an in law to President was seen brandishing APC nomination form beside the President. According to him, the National Working Committee of the APC has declared support for continuity for APC Governors, Bindow will not be an exception. The group has warned Mahmoud, popularly called Modi to desist from the so called political hallucination he has found himself, “Modi cannot win any election in Adamawa State, in a free contest, he cannot deliver the polling unit in his father’s compound in Yola talk more of defeating Gov. Bindow, our honest advice to Modi is to seek councillorship election not Gubernatorial seat, how can a man from the blues comes from no Where thinking he can convince Adamawa people to vote for him, this man is not even known in Yola town how can he defeat Bindow? 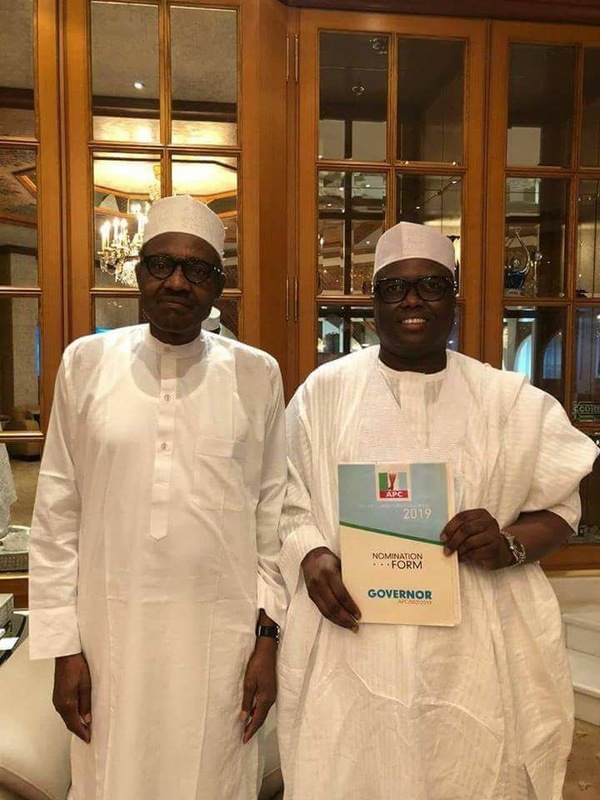 purchasing APC gubernatorial nomination form is a joke taken too far, posing in photo shot with the President will not guarantee victory for him in the APC primary. the group opined.